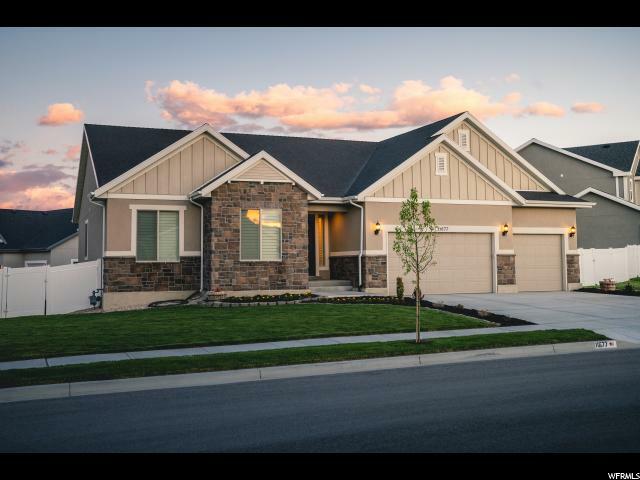 All Riverton homes currently listed for sale in Riverton as of 04/26/2019 are shown below. You can change the search criteria at any time by pressing the 'Change Search' button below. 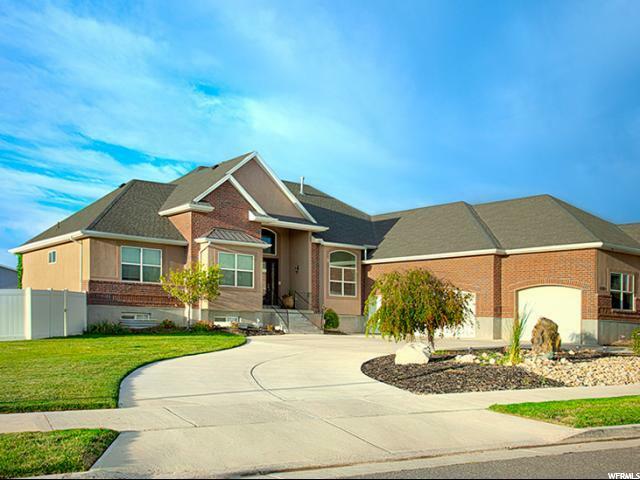 If you have any questions or you would like more information about any Riverton homes for sale or other Riverton real estate, please contact us and one of our knowledgeable Riverton REALTORS® would be pleased to assist you. "UNHEARD OF OPPORTUNITY. . . REDUCED BY $1,000,000 (Yes, that's a ONE MILLION DOLLAR PRICE REDUCTION)! 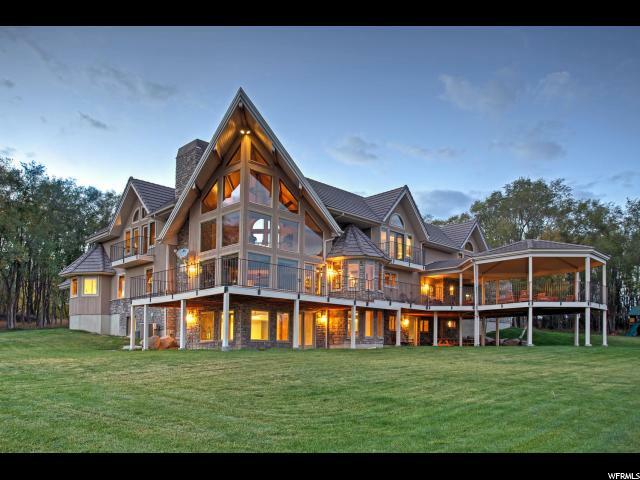 Gated Estate on 2.29 acres of incredible Riverton property! 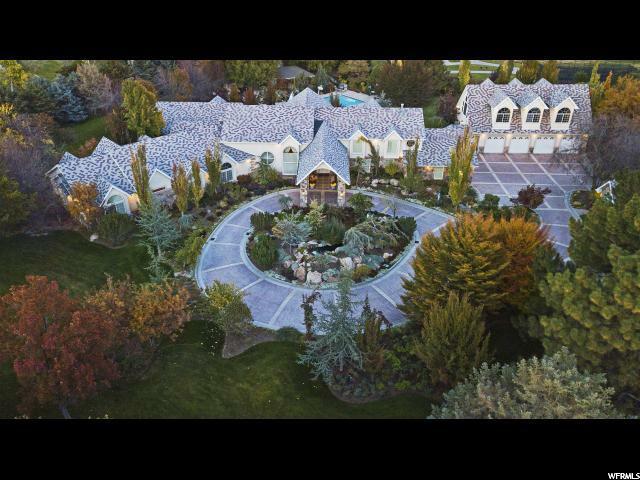 The gorgeous tree-lined entrance is fit for one of Salt Lake's finest luxury homes. A 7,000 plus rambler with massive vaults and huge rooms, wonderful kitchen, main floor office, 2 story library, all with radiant heat and luxury beyond words. The beautiful lush grounds include a 20x40 salt water pool and pool house, ponds, waterfalls and a well. The property includes an additional 4 Car RV/Workshop. (photo tour shows adjacent 17 acres that is being sold separately, not with the home). " 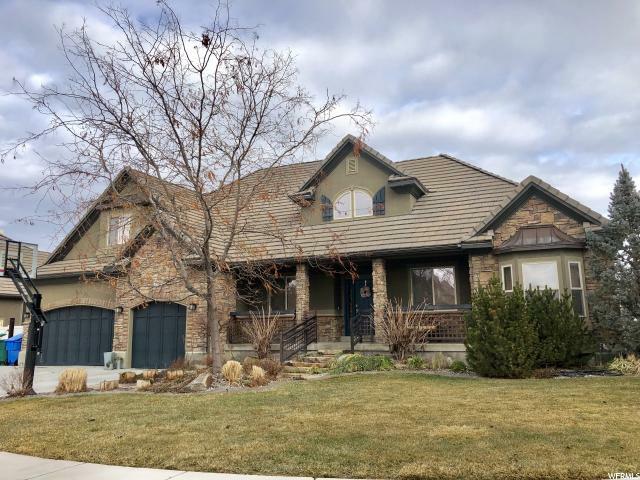 "Beautiful home with amazing views overlooks open space, Wasatch mountains, riverbend golf course, magnificent horses, walk to trail system, Basement apt with walk out, access to Riverbend Ranch, Additional acreage available to purchase w home. Owner/agent"
"STOP looking - this is the house you have been waiting for! Fantastic new build rambler in Dansie Estates -Riverton. 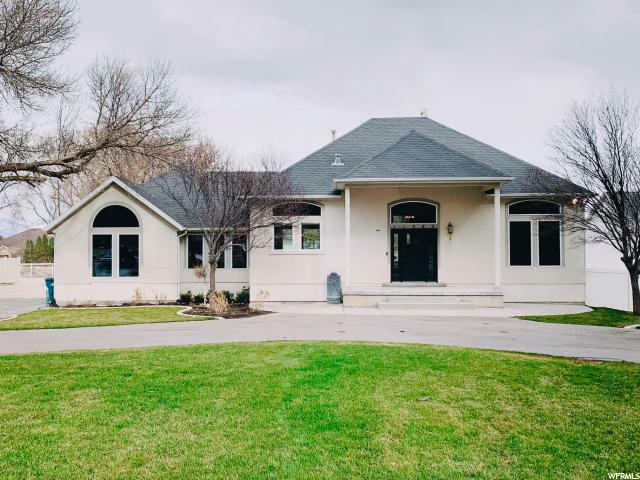 This beautiful home features large spacious rooms, finished basement with a room pre-wired for a theater, vaulted ceilings, large picture windows for plenty of natural light, will include built in appliances, upgraded cabinets, wood floors and much more. Still time to pick some colors - call today to view." 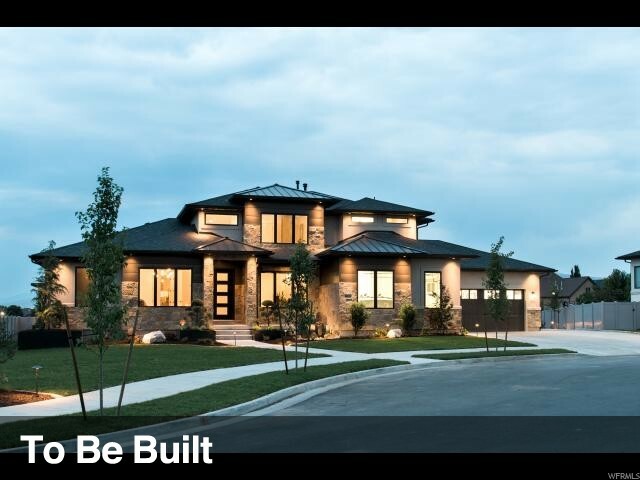 "Stunning contemporary luxury home with stellar finishes that accent pride of ownership! Home boasts gorgeous faux wood floors, quartz counter tops, designer lighting, ample windows to allow natural light throughout! Spacious Great Room showcases cozy gas log fireplace with wood shelf mantel, expansive sliding glass door with transom lead to sizable deck, perfect to entertain and enjoy. Baker's dream kitchen features 2 custom quartz islands, stylish pendant lights, double oven, gas stove, range hood, large pantry, high end appliances with full size Frigidaire fridge & freezer! Grand Master Suite with tray ceiling, bathroom retreat, his and her separate quartz vanities, expansive custom tile euro shower, designer freestanding tub & walkthrough from the Master Closet to the Laundry Room! Home includes second Master bedroom. Garage is extra wide, extra high 3 car with high end paned doors. 9' ceilings on all 3 floors. LARGE RV pad is being poured along garage as weather permits. 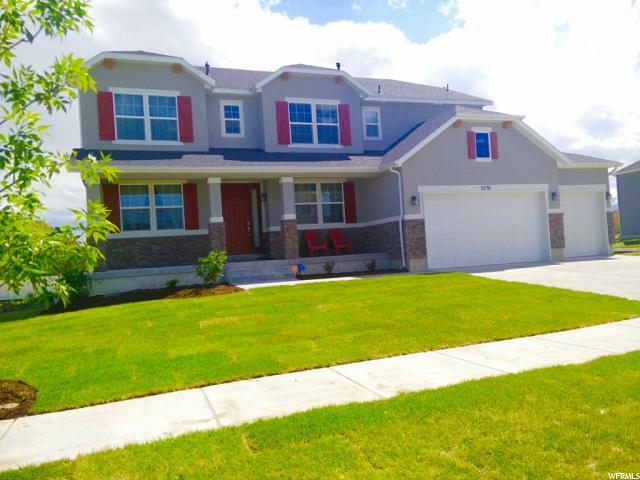 Ideally located in Riverton near South Jordan Canal trails, parks, shopping & MORE! Shows like a model home with professional staging! Come and take a look at this beauty....Don't miss out!" 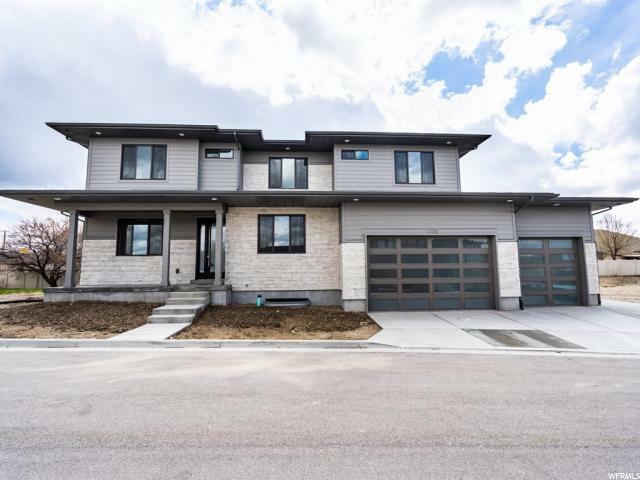 "GREAT new build rambler in Dansie Estates. One of the few properties left in this wonderful development. Still time to pick some colors to personalize this home. Come walk through and check out this amazing floorplan. Totally finished basement, loaded with upgrades, built in appliances and so much more. We could keep listing all the upgrades but than you would be reading for quite awhile!! Come see for yourself and put this property on your list TODAY - you won't be disappointed!" "Very Rare Find! Stunning Riverton Rambler on Almost an Acre! Contempoary Design With Large Open Floor Plan. Popular Master on The Main Layout, Plenty of Natural Lighting. Stunning Kitchen with Granite Counter Tops, Stainless Steel Appliances. Spacious Vaulted Ceilings, Walk- in Master Closet. Quality Flooring. High End Contemporary Lighting. Features 4 Bedrooms and 3 Bathrooms. *Huge Garage* as well as Detached Shop/Garage* **Square Footage Figures Are Provided As a Courtesy Estimate Only. Buyer Is Advised To Obtain An Independent Measurement. All Information Herein Is Deemed Reliable But Is Not Guaranteed. Buyer Is Responsible To Verify All Listing Information, Including Square Footage/ Acreage, To Buyer's Own Satisfaction. **"
"Modern Rambler, loaded with upgrades. Spacious Family room with 12' ceilings. Quartz tops through out, Double oven, huge kitchen pantry. Large Master suite, with Fabulous walk in closet and Slipper soak Tub. Ready to move in immediately!! Can finish basement"
"INCREDIBLE BARGAIN AT THIS PRICE! 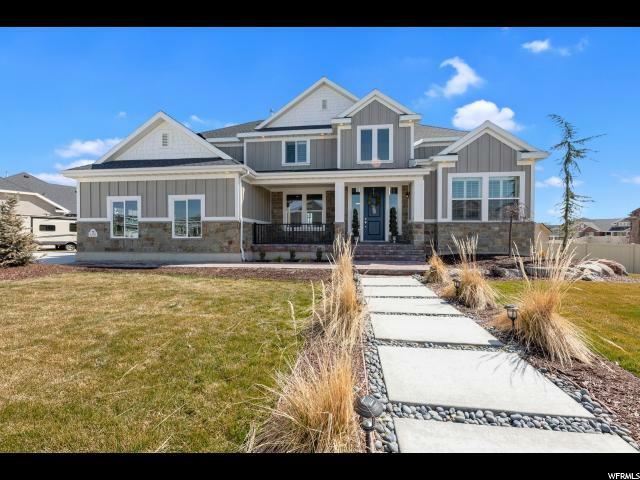 This COMPLETELY FINISHED home has EVERYTHING you could possibly want! UPGRADES - YOU COULDN'T REPLACE AT THIS PRICE! *Engineered Hardwood Flooring*Carpet*Tile*Quartz Counter Tops*Plumbing*Extra Insulation*Energy Efficient*Fireplace! Fabulous OPEN FLOOR PLAN with a CHEF'S KITCHEN*Stainless Steel Hood and Appliances*Huge Island! SPACIOUS DINING AREA & FAMILY ROOM, amazing Entertaining Space! OFFICE*LIVING ROOM*MASTER BEDROOM W/ HIS & HERS CLOSETS*DBL VANITY*TILE SHOWER & TUB*LARGE OPEN LOFT UPSTAIRS*JACK-n-JILL BATH*GUEST ROOM W/BATH! Finished basement,Family Room*PLUMBED FOR A WET BAR*Bedrooms*Full Bath! Vinyl fenced backyard with a large patio and secured RV gated parking! MUST SEE!!" "Entertainers dream home! Large classy entryway leads into the Huge kitchen- great-room, perfect for large get-together's! The Enormous island in this custom kitchen is Freshly updated with beautiful new counter-tops and lovely hardwood floors. The Double sided staircase is sure to please! Generous room sizes through out the amazing home! The basement was professionally finished by the builder and sports a huge family and a mother-in-law kitchen! Just Steps away from the park. The original owners have kept this home in exceptional condition and move in ready! Buyer to verify all"
"Amazing rambler with main level living! Gorgeous features and updates throughout! Oversized owners retreat with private backyard access and gorgeous master bath, featuring double vanities/sinks, separate tub and large shower! Open formal living and dining areas! Spacious great room with stunning kitchen boasting granite counters, ample cabinet space and Jenn-Air appliances. The open basement area is perfect for entertaining with a large wet bar, entertainment area, game room and 2 bathrooms. Two oversized bedrooms complete the downstairs space! The home offers 2 furnaces and 2 central air units, along with a huge backyard, mature landscaping, fire pit and large RV parking area! Solar panels keep the electric bill low!! Square footage figures are provided as a courtesy estimate only and were obtained from Tax Records . Buyer is advised to obtain an independent measurement." "Spec home under construction. The pictures are not of this exact home. It is a home built previously but the same floor plan. There is still time to pick some of the finishes. Popular master on the main two story. Faces south, upper end homes in this awesome Riverton community. Tons of upgrades. 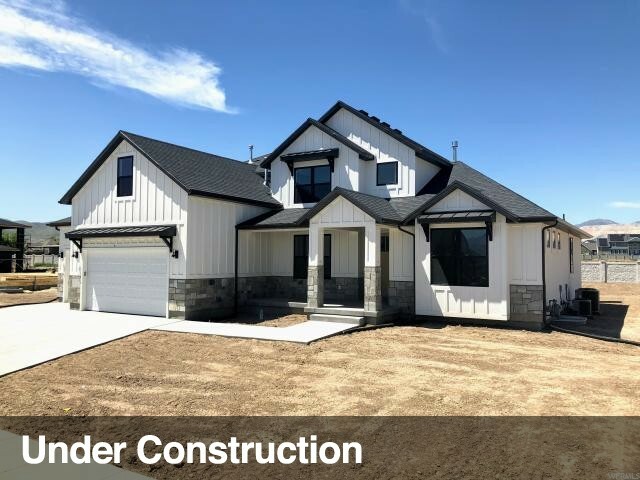 Estimated completion- March 2019"
"Beautiful to be built home in brand new desirable development conveniently located on 13200 S and 3200 W Riverton. Whatever style, size, or other needs you have come see us today at our current model home or give us a call and explore all we have to offer (Pictures are from a model home of the same plan) Call today or Visit or Model Home for more information "
"Simply Stunning this home features 9 foot tall basement walls, 3 car garage with exit door, can lighting throughout, textured walls, 2 tone paint, hardwood flooring, granite counters, white cabinets w/ quiet close drawers & pull-outs. Huge island for entertaining. Main floor guest suite or Office. Large Mud room with bench & storage lockers. Grand master suite w/ amazing mountain views! Beautiful yard. RV parking area and so much more!!! This is a must see! Square footage figures are provided as a courtesy estimate only. Buyer is advised to obtain an independent measurement." "Beautiful Riverton rambler on over a half acre. Main floor living with a second kitchen in the basement. Walkout basement with pool in backyard. Jack and Jill baths up and down. Two furnaces, A/C units and water heaters. Three car garage with circle drive and additional RV parking. Covered deck with access from kitchen and master. Office on main floor and theater room in basement. All basement kitchen appliances stay. In ground 20' x 40' diving pool - concrete pool with vinyl lining. Great family home!" "Back on the market! Offer canceled due to financing for the Buyer. Tucked back in one of the best kept secrets in Riverton. West facing large lot with extra garage work space. Walk out basement with 2 bedroom rental unit to pay for some of the mortgage. Mountain views. Upgrades everywhere. Covered patio off the master with trex deck. Hot tub. Large play set. Fire pit. RV parking." "New Spec Home under construction. Pictures are not of this exact home, but a previously built home that is the same floor plan. tons of upgrades. Still time to select finishes. Huge 4 car garage. Upper end homes in this awesome Riverton Location." "Gorgeous homes TO BE BUILT in one of the last prime Riverton locations. Homes built to the highest quality standards. Some of the many features are 9' ceiling on main, gas fireplace, engineered hardwood, tile, granite or quartz, and more. " 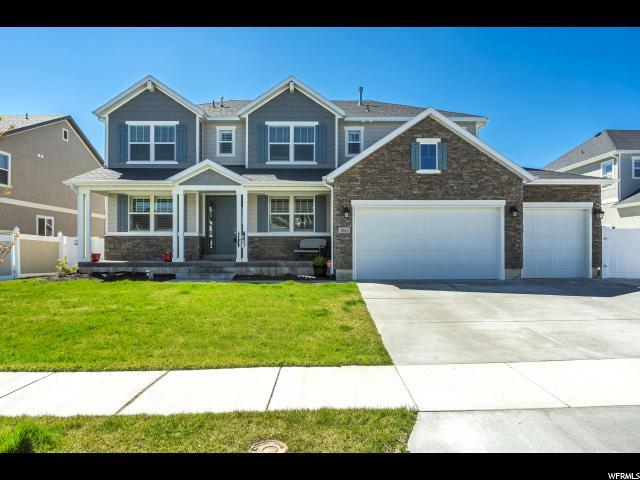 "Beautiful home in one of Riverton's best neighborhoods! This 5,139 square foot home has an open living floor plan and vaulted ceilings throughout, giving it a spacious and comfortable feel. The heart of the home is the Great Room, which adjoins the open kitchen and dining area, providing wonderful space to entertain guests or spend quality family time. The main floor Master Suite has a large bathroom with double sinks, separate shower and large jetted tub and the Master walk-in closet is nearly the size of another bedroom. This home has room for everyone with 6 (or 7) bedrooms, 3 full bathrooms and 2 half bathrooms, living room/office, oversized bonus room and loft upstairs and a huge second family room in the basement. Additional features include: 2 laundry rooms, large walk-in pantry, built-in desk, reading nook, updated carpet, wood shutters, tons of storage space, covered back patio and enormous 3-car garage. The yard features mature landscaping, beautiful rock walls, gardening boxes, fully fenced backyard with patio, walkways and an in-ground trampoline. Great location, close to schools, shopping, restaurants, entertainment,transportation corridors and several neighborhood parks. A must see! This home will go fast so call and schedule an appointment today! Square footage figures are provided as a courtesy estimate only and were obtained from an appraisal. Buyer is advised to obtain an independent measurement." "Solar, Solar, Solar. This Home is Energy Efficient With Solar Panels Completely Paid Off and Included in the Sale. Say goodbye to your power bill. This amazing home features separate formal living and dining rooms, a lovely two-story family room off the spacious gourmet kitchen, and a quiet study. Pay attention to the details in this home with coffered ceilings in living room, dining room and master bedroom. Every bedroom features a walk in closet. A mud room and laundry room off the garage offer added convenience. Basement is framed with 9' ceiling, wired and plumbed & ready for drywall. Conveniently located close to schools, parks & shopping. Book your private showing today. " "OPEN HOUSE: Saturday, April 27 - 11:00 am - 1:00 pm. 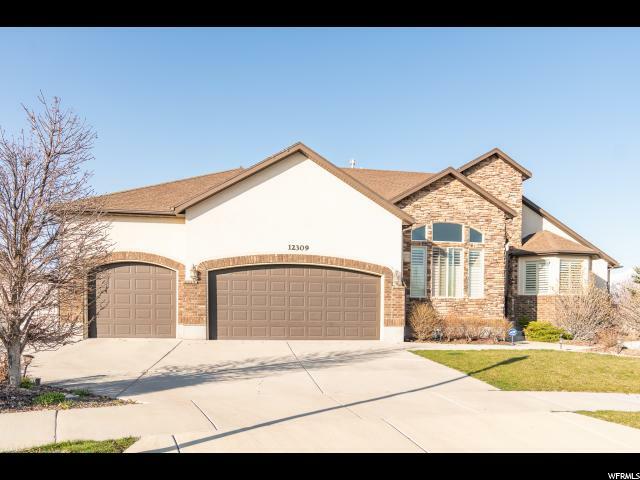 Fabulous Riverton home in highly coveted Midas Crossing Neighborhood! 5 Bedroom, 3.5 Bathroom home. Fully finished basement with tons of storage! Open floor plan with many upgrades! Hardwood flooring throughout family room & kitchen area. Double ovens, granite countertops, gas cooktop with built-in cabinet range hood. Large Master Bedroom & Bathroom! Basement is recently finished with 9' ceilings, upgraded kitchen and bar area. Basement family room is large and perfect for entertaining with surround sound! Large 300 SqFt deck with mountain views! You don't want to miss out on this one! No Showings until Open House." 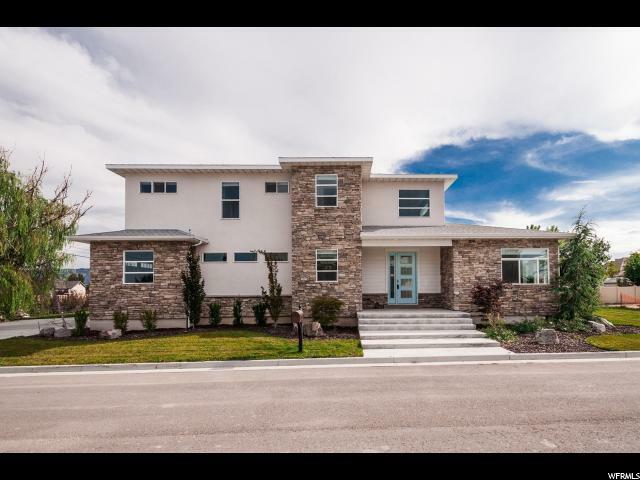 "Gorgeous new TO BE BUILT homes in one of the last prime locations in Riverton. Homes built to the highest quality standards. Some of the many features are 9' ceiling on main, gas fireplace, engineered hardwood, tile, granite or quartz, and so much more." 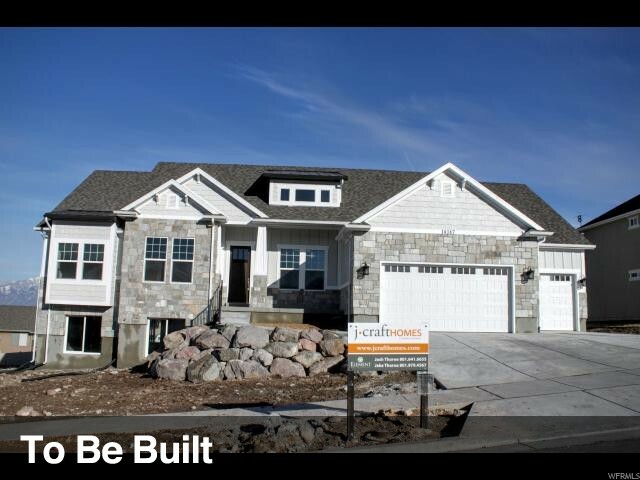 "Lot 9 North Creek Estates The Lexington. 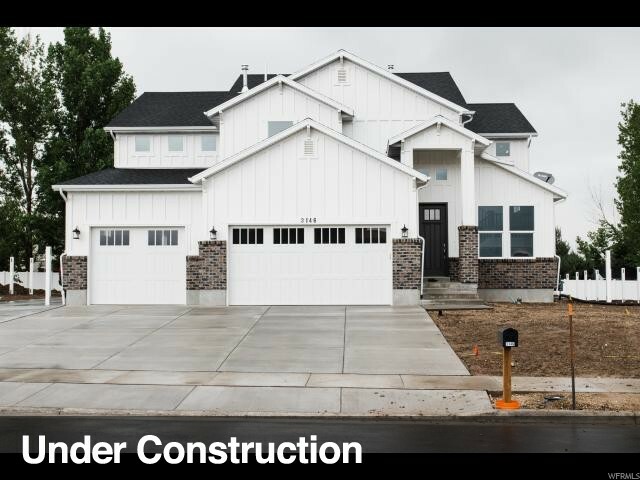 Home is currently under construction with time to still select all interior / exterior options and colors. 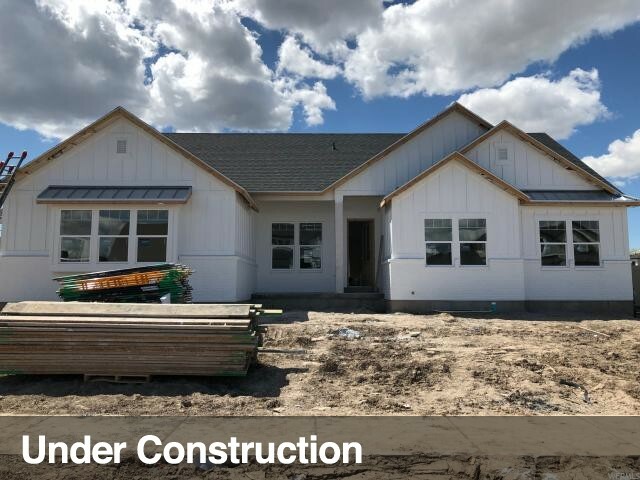 Standard features include; 2-tone paint, fireplace, gourmet kitchen, laminate wood, designer tile, solid surface counter tops, massive pantry, dining nook, office, mudroom and more. Buyer to verify all info"
"Beautiful to be built home in brand new desirable development conveniently located on 13200 S and 3200 W Riverton. Whatever style, size, or other needs you have come see us today at our current model home or give us a call and explore all we have to offer. (Pictures are from a past model home of the same plan) "